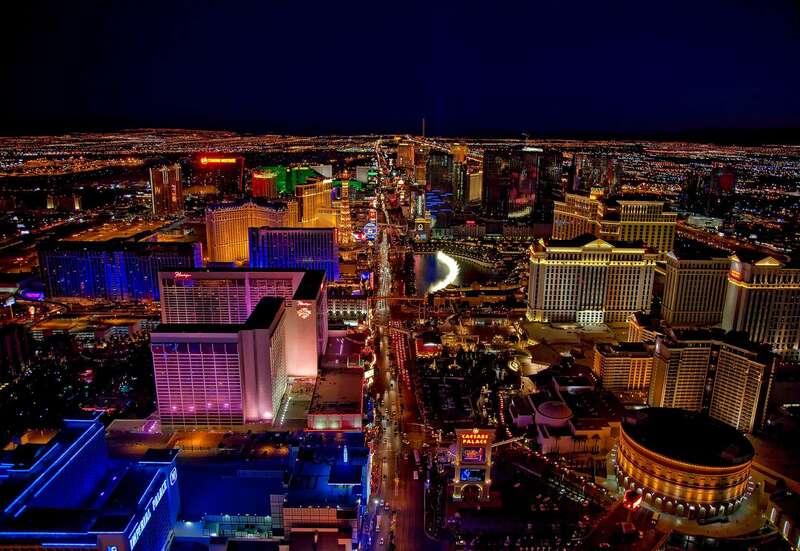 Las Vegas is one of the most iconic bachelor party destinations. But Sin City isn't just for the guys. If you're planning on bringing your friend group's bride-to-be here, then first you need to know the best hotels in Vegas for bachelorette party trips. After all, your hotel room will be home base: inside you will get ready, lounge about, bond with each other, and (maybe) sleep. Plus, most Vegas hotels offer tons of amenities that you can take advantage of without ever leaving the building. Is a Las Vegas Bachelorette Party Right for You? How much does a Las Vegas hotel cost? What Will Happens in Vegas, Stay in Vegas? If the bride-to-be has her heart set on a Vegas bachelorette party, then the sooner you start planning, the better. While there's no shortage of hotels in Las Vegas, the best-of-the-best will book up before you know it. So what are the best hotels in Vegas for bachelorette party groups? And which of these hotels best suits the bride-to-be? Why is the bachelorette (or bachelor) party such a monumental part of getting married? Bachelor parties started as early as around 500 B.C. with the Spartans. But bachelorette parties didn't gain momentum until the women's liberation movement of the 1960s. While bachelorette parties originally acted as a more adventurous replacement for bridal showers, most women today celebrate both. Bachelor and bachelorette parties have always had a somewhat debaucherous undertone. Even the tamest of these parties usually end up with at least one overly intoxicated guest. But these events also lead to friends bonding and creating memories that will, undoubtedly, last a lifetime. If anyone at your bachelorette party has never been to Las Vegas, maybe even including you, then it's important to plan ahead. Choosing one of the best hotels in Vegas for bachelorette party vacations will help your group stay together. And, of course, hosting a bachelorette party in Vegas doesn't mean that you and your friends will be stumbling down the strip in the middle of the night. But the lights, sounds, and people of this eclectic city can easily overwhelm if you're not prepared. Put together a bachelorette party itinerary before taking off for your destination. An itinerary will help ensure that the party never loses steam and that everyone knows where they're heading. It's also a good idea to coordinate and purchase tickets for any planned shows ahead of time. If you do have any gaps in your party schedule, then that's a perfect time to check out your hotel's spa or other exclusive services. And, of course, make sure everyone practices their poker face before take-off. With a little planning, a Las Vegas bachelorette party is a great last hoorah before marriage. And by staying in one of the best Vegas hotels for bachelorette a party, you can ensure that the fun never ends. When choosing the best Vegas hotels for bachelorette party groups, there are plenty of options to choose from. After all, there are millions of hotel rooms in the city. But when selecting the right hotel for your upcoming bachelorette party, only the best quality, style, and amenities will suffice. For our list of the eight best hotels in Vegas for bachelorette party trips, we specifically looked for extra amenities like restaurants, bars, spas, pools, and breath-taking room designs. We then looked for the top-rated hotels from this list, based on past visitor reviews. Hopefully, this information will help you narrow down your list of the best hotels in Vegas for bachelorette party plans. 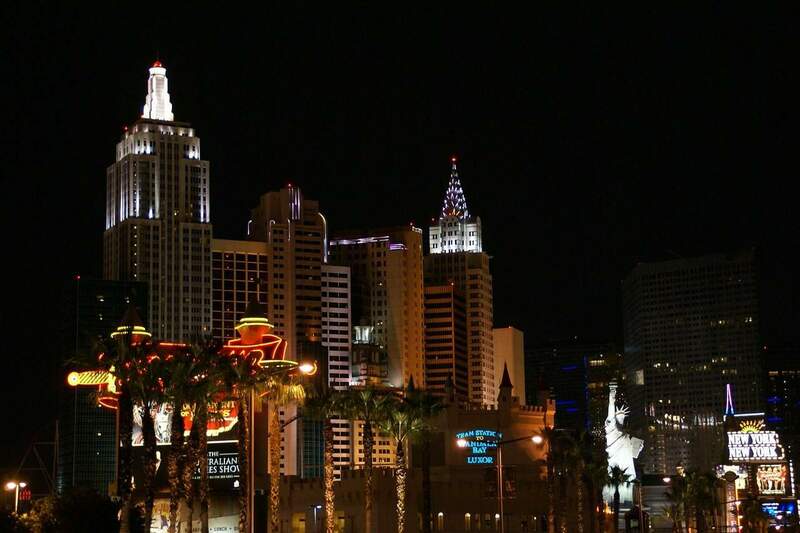 Las Vegas hotel rates vary greatly, depending on timing and quality. You can find dirt-cheap rooms for low price and top-of-the-line suites for a bit costly per night. But for a bachelorette getaway, you'll likely be looking at something a little pricier. Some of the best hotels in Vegas for bachelorette party trips are a little bit costly. When planning a bachelorette party, even if you're not leaving town, the price is everything. 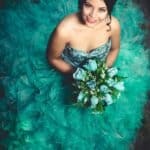 Unless you're lucky enough to have outside funding, the bridal party and additional guests all have personal budgets that need to be considered. While quality hotel rooms might seem out of your price range at first, consider how many guests you can comfortably fit in each room. 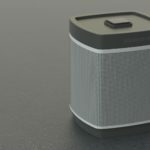 That can greatly reduce the per person price of even the most luxurious Vegas hotel. When browsing the best hotels in Vegas for bachelorette party celebrations, you need to take into consideration what your bride-to-be wants out of their trip. If they want to spend the evening gambling, followed up with a round at the club, then you want a hotel with an active nightlife. But if they want a pampered retreat free of stress and pre-wedding jitters, then a resort with luxury spa offerings may be best. The list below is in no particular order, and information may change as hotels remodel or change entertainment line-ups. Before booking one of the best hotels in Vegas for a bachelorette party listed below, make sure to check available rates. For the most current information about any of these establishments, we recommend checking out their respective websites. The Venetian Resort is one of the most recognizable locations in Las Vegas. This hotel features a canal, appropriately modeled after the resort's namesake, lined with shops and dining. With a little bit of imagination (and perhaps a second glass of wine) you and your girlfriends will feel like you're in Italy. 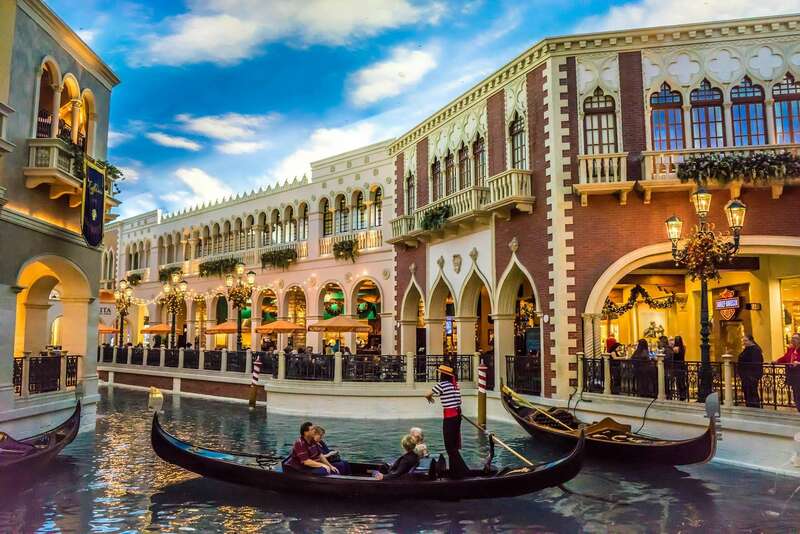 The Venetian features a casino, countless restaurants and bars, a spa, and several pools. Depending on the dates of your visit, you can also enjoy a range of in-house live entertainment. If you want a luxury experience that's nearly all-inclusive, The Venetian is one of the best hotels in Vegas for bachelorette party celebrations. Positive reviews mentioned stunning suites, the VIP lounge, and the novelty of the gondola rides and other activities. Negative reviews were unhappy with poor customer service, unclear account charges, and underwhelming hotel rooms. Another big name on the Vegas strip is the Bellagio Hotel & Casino. If you're looking for the classic, big-roller feel of Sin City, then this is one of the best hotels in Vegas for bachelorette party groups. 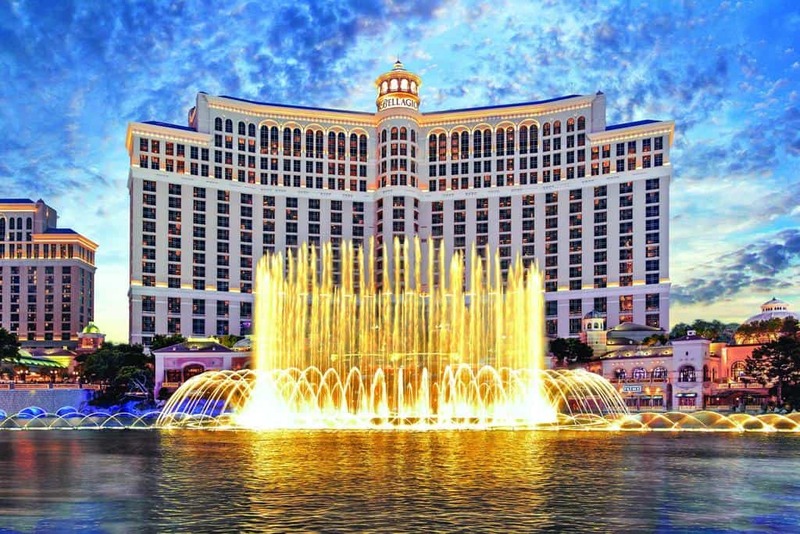 This hotel features the world famous fountain display, as well as rotating popular shows like Cirque du Soleil and the Bellagio Gallery of Fine Art. You and your guests can choose from over a dozen different restaurant concepts and then check out the nightlife at one of the Bellagio's bars or lounges. Even without these amenities, the cultural significance of the Bellagio Hotel & Casino easily makes it one of the best hotels in Vegas for a bachelorette party. Positive reviews loved the classic Vegas style, heated pools, and great dining options. Negative reviewers experienced unwanted upselling from customer service, long wait times for a room, and the price of hotel amenities. 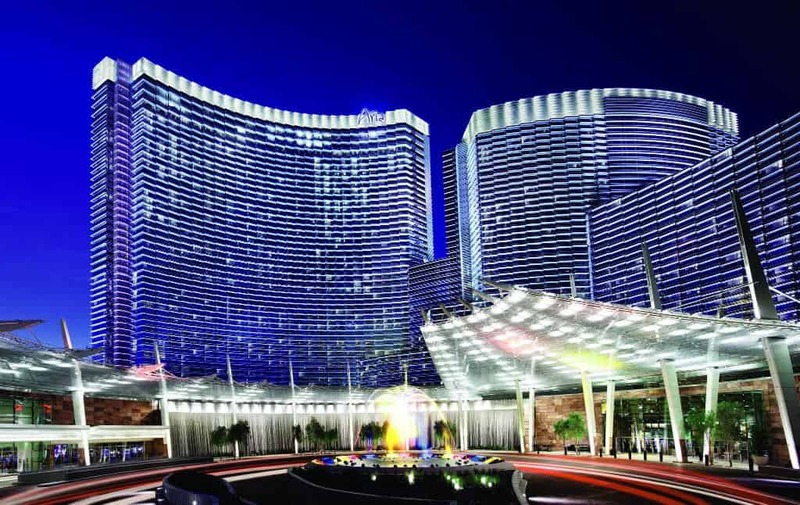 The Aria Resort & Casino is part of the MGM line of hotels in Las Vegas. While the Aria name is not as big as the Bellagio or other hotel concepts, it offers a modern feel with plenty of stylish amenities. You can enjoy a variety of pools, restaurant concepts, and bars within the Aria. You and your guests can also play at the Aria casino or check out the luxury spa and its services. While the Aria Resort & Casino is not as iconic as some of the strip's other accommodations, it is one of the best hotels for bachelorette party celebrations if you're looking for a modern twist. Positive reviewers were thrilled with the Aria's customer service, high-quality amenities, and modern style. Negative reviews mentioned unclean rooms, additional charges, and poor room maintenance. The Cromwell is a boutique hotel concept, meaning it's small in size but offers a lot in style and customer care. Inside you will find Giada, a restaurant concept from television chef Giada De Laurentiis. You can also enjoy a rooftop pool and an in-house casino. The hotel rooms at The Cromwell feature a regal, patently Vegas decor without the overwhelming size of some of this hotel's competitors. 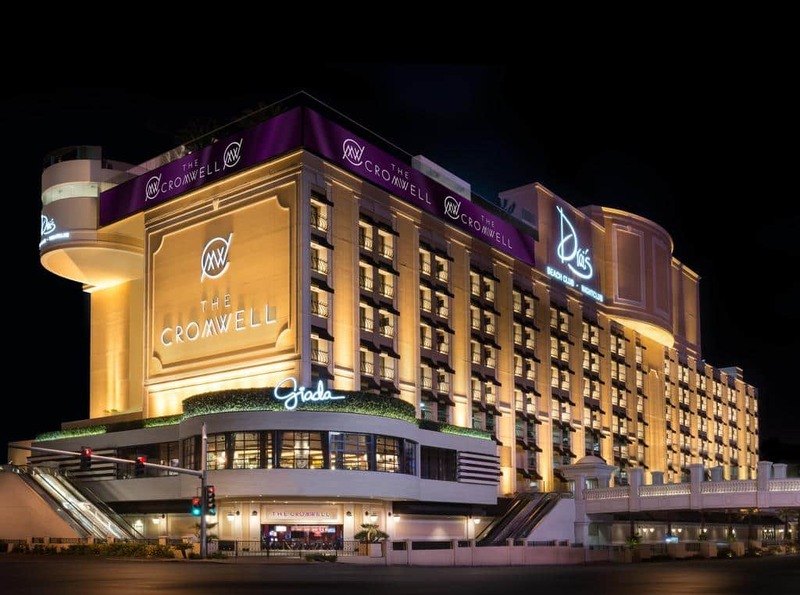 All of these features make The Cromwell one of the best hotels in Vegas for bachelorette party events if you want a more intimate affair. Positive reviews were happy with the beautiful rooms, friendly staff, and the quality of Giada. Negative reviews complained about The Cromwell's small size, insufficient room service, and high levels of noise from the street. 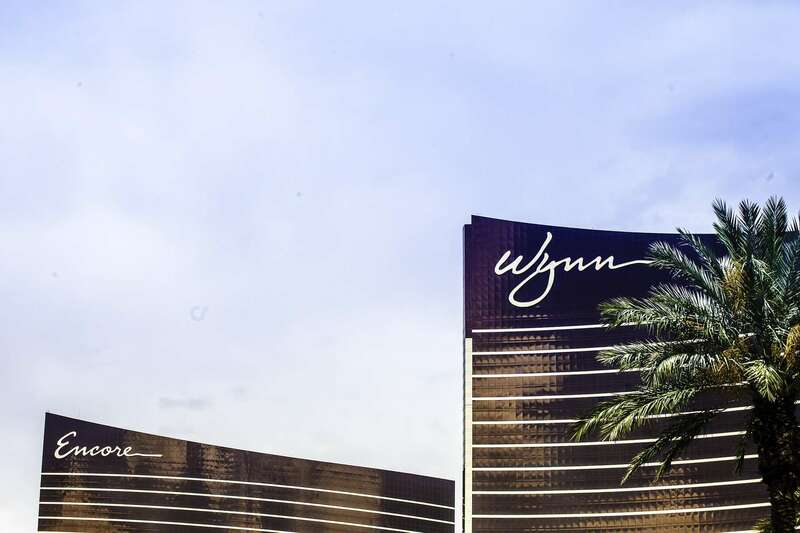 The Wynn in Las Vegas features multiple casinos, nightclubs, pools, theatres, shopping plazas, and restaurants. If you're looking for somewhere to stay that offers a variety of activities and entertainment without ever leaving the resort, then Wynn is one of the best hotels in Vegas for bachelorette party trips. Wynn also offers a unique spin-off of traditional Vegas entertainment: you and your friends can work side-by-side with professional chefs and learn to decorate desserts, make stunning dinners, and more. Positive reviews brought up the quality of the Wynn's spa, the beauty of the hotel's decor, and the variety of high-tech amenities. Negative reviews were unimpressed with the cost of their hotel stay, slow customer service, and noise from the in-house nightclubs. The Palazzo Tower is technically a section of The Venetian mentioned above. But this tower offers a luxury unmatched by the rest of its parent resort. If you and your girlfriends are looking for opulence in your retreat, this is one of the best hotels in Vegas for a bachelorette party. The Palazzo's casino encircles the Electra Cocktail Club, which is one of the most avant-garde clubs in Las Vegas. 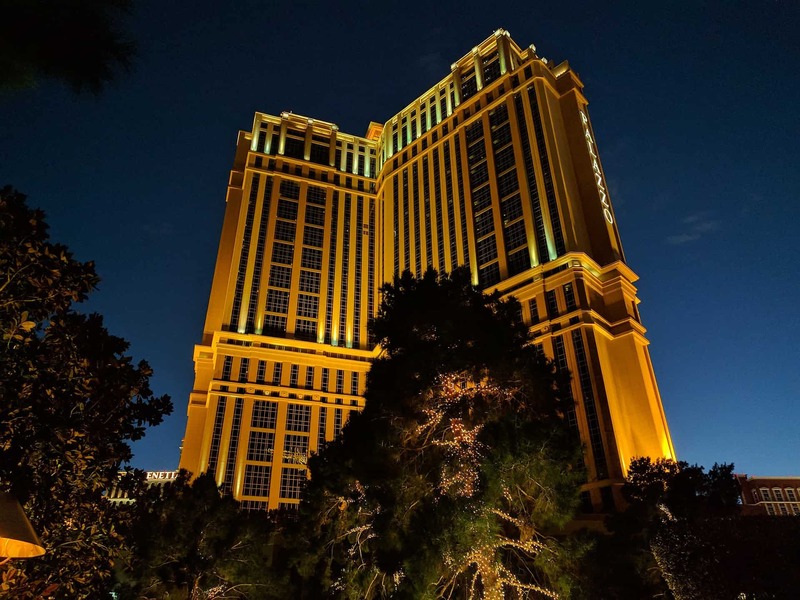 If you want to stay in The Venetian, but are craving a bit more luxury and energy, The Palazzo Tower is a great option. Positive reviews were impressed with The Palazzo's surprisingly affordable suites, helpful staff, and unique decor. Negative reviews mentioned a lack of basic hotel room amenities, rude staff members, and additional resort fee. We've covered plenty of well-known Vegas resorts on our list so far. But Caesars Palace may be the most recognizable in name alone. 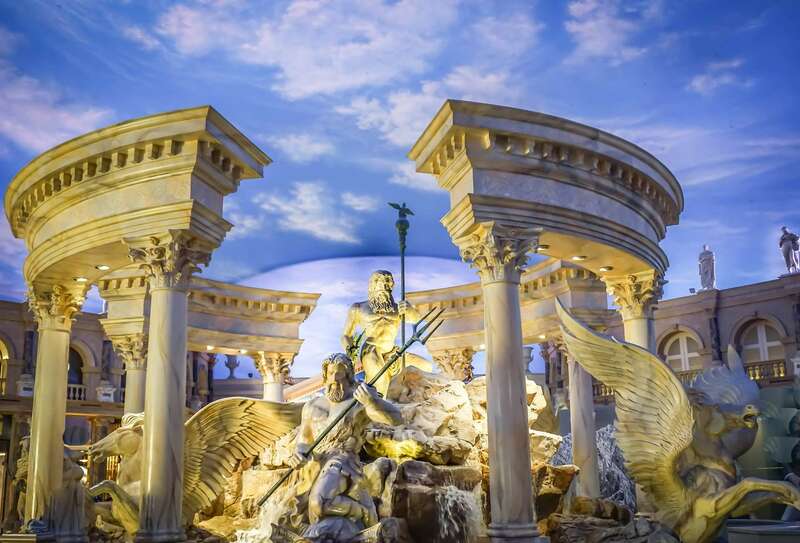 If you want to (jokingly) recreate The Hangover while in the city, then Caesars Palace is one of the best hotels in Vegas for bachelorette party celebrations. Even if you don't stay the night in this hotel, you'll still probably want to stop by. Caesars Palace is filled with casinos, restaurants, bars, clubs, pools, and everything else you could want on a Vegas getaway. Positive reviews discussed the friendliness of customer service, quality of the rooms, and the variety of available entertainment. Negative reviews mentioned the expensive resort fee, unhelpful customer service, and rooms that were in disrepair. 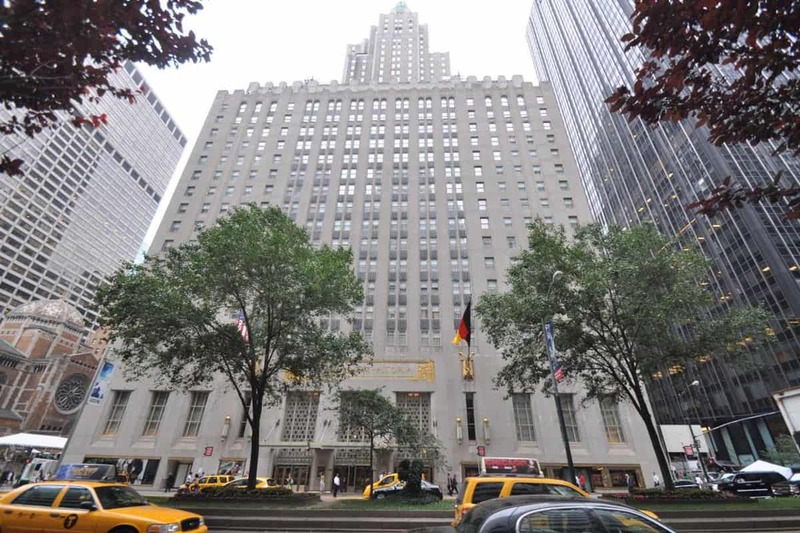 The Waldorf Astoria functions as the flagship of Hilton Worldwide's luxury hotel lines. This resort offers a modern touch right in the middle of the Las Vegas strip. Those looking for a clean, contemporary feel will find the Waldorf Astoria to be one of the best hotels in Vegas for a bachelorette party get-together. At the Waldorf Astoria, you'll have immediate access to luxury shopping, fine dining, and classy nightlife. However, the Waldorf Astoria does not feature an on-site casino. Other casino options aren't far away, but this is one thing to consider when planning your trip. Positive reviewers talked about the luxurious feel of the resort, attentiveness of staff members, and the proximity to the rest of the strip. Negative reviews were unhappy with the Waldorf Astoria's lack of casino, occasionally dated decor, and high price for the value. The Waldorf Astoria was previously the Mandarin Oriental, and many reviewers expressed sadness or dissatisfaction with the new ownership. That has dropped its TripAdvisor rating a bit. But the Waldorf Astoria is still one of the best hotels in Vegas for a bachelorette party. Whether you're going to Las Vegas because it's an old stomping ground or just to check something off of the bride-to-be's bucket list, this city is a great destination for all types of bachelorette parties. Your stay in Sin City will be underlined by the hotel you choose. And our list of the eight best hotels in Vegas for bachelorette party getaways should get you started on finding the right accommodations. Even if you don't choose a hotel with endless entertainment and amenities on-site, the Vegas strip offers tons of unique experiences for you and your girlfriends to experience. You can zip line over the city lights, see a breathtaking burlesque show, or test out your blackjack skills in a casino. Whatever your plans are, Las Vegas is the perfect place to live it up before tying the knot.